Yesterday morning, as I was preparing for my appearance on Detroit's Fox 2 news with reporter Roop Raj (shameless plug, yes, but you better believe I'm going to milk these 15 minutes for all they're worth), I gave the inquiring landlubber a quick rundown on our sport and what makes the Sperry Top-Sider NOOD Regattas so much fun. I explained to him what a regatta was in the first place, what we mean by the term "one-design," and that, yes, we come back to the dock every night. Despite my explanations, Raj still seemed puzzled. He gave me this quizzical look as if to say, "Um, okay, so what's the point?" Richard E. Jennings, 65, president of Smithereen Pest Management Services and champion sailor in the Chicago-to-Mackinac Island race, died Tuesday, May 17, according to friends and published reports. His family declined to comment, and the cause of death was not available. For more than 35 years, Mr. Jennings competed with his sleek 70-foot Pied Piper in the annual Race to Mackinac, the world's oldest freshwater yacht race. TRAVERSE CITY, MI (For immediate release, May 9th, 2011) â€“ Sailing instruction in two day time blocks over several flex weekends is the custom package being offered by Bay Breeze Yacht Charters (BBYC) this season. 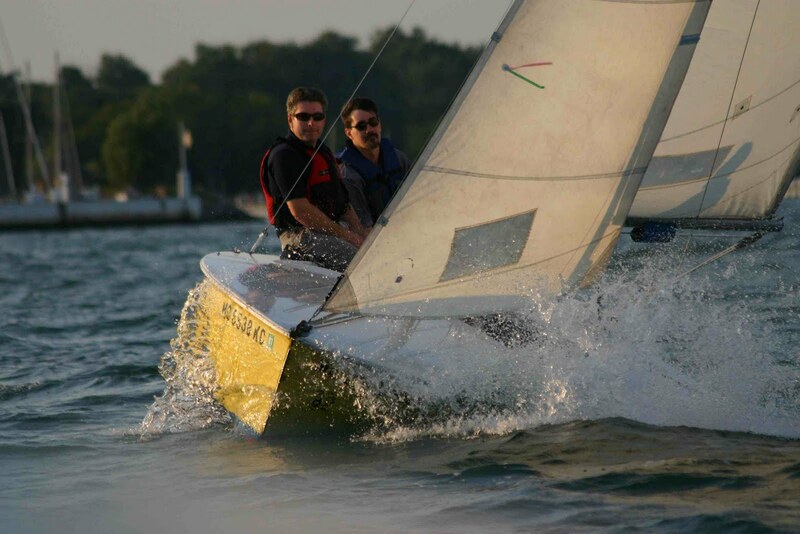 The convenience classes, focusing on regional sailors, will be held Saturday and Sunday from 9 a.m. to 5 p.m. Students can schedule one weekend of sailing instruction, then return the next or even an alternate weekend for further instruction. Karma Yacht Sales Co-Founder selected US Sailing's "Sailor of the Week"
The Chicago Match Race Center is excited to offer an Owner Driver Match Racing Clinic July 22-24, 2011. The Race to Mackinac 2011 has surpassed the 300 entry threshold. The race, presented by Veuve Clicquot, is organized by the Chicago Yacht Club. Bob Hughes should have known it wasn't his day when he awakened Thursday morning. "There were flames in the [guest] house this high," he said, his hand at chest level. The black flag came in the afternoon during Day 1 competition of the Ficker Cup, a Grade 2 event on the ISAF scale that will determine the 10th and final entry for next week's Grade 1 47th Congressional Cup. The leaders at 5-0 are Italy's Simone Ferrarese, the 21st ranked match racer in the world, and William Tiller (No. 35) of New Zealand, after a day of light to moderate winds. We've got some new offerings for this summer so please check out the 2011 Programs article below. Each season we review our programs and re-affirm our commitment to our mission to provide sailing opportunities for the Grand Traverse Region in order to strengthen and expand those programs. We welcome your suggestions and input. You can respond to this e-mail with your thoughts and suggestions or visit us at our board meetings (3rd Monday at GTYC) and informal lunch meetings at Scott's Harbor Grill each Friday at noon. Almost all of our new programs have come from suggestions from the community. Let us hear from YOU!